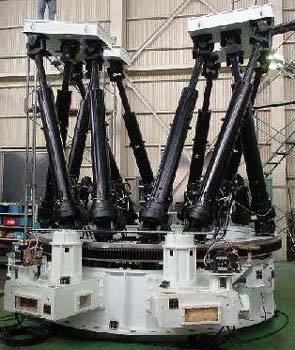 Two receivers are installed at the Cassegrain focus to observe two adjacent sources simultaneously. 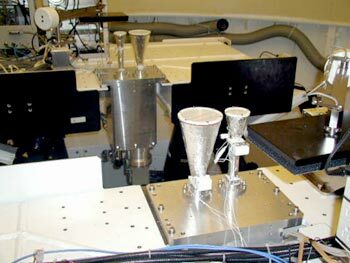 The two receivers are mounted on Stewart-mount platform and are steerable with a separation of two sources varying from 0.3 to 2.2 degrees. Each platform is sustained by six arms. By changing arms' lengths, the receiver platform can be moved in the six dimensions (3-dimensional parallel motions and 3-dimensional rotations). The whole system can be rotated to track the apparent motion of stars due to the earth rotation. Dual-beam receivers (silver box with two horns) are installed on the Steward-mount platforms. 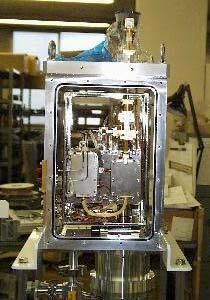 Each receiver has two conical horns, larger one for K (22 GHz) and smaller one for Q (43 GHz) band. 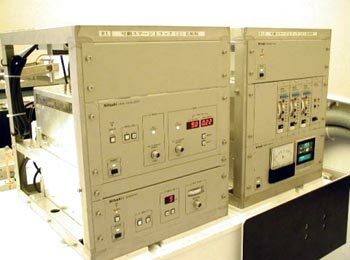 Seen in the dewer are low-noise HEMT amplifiers. 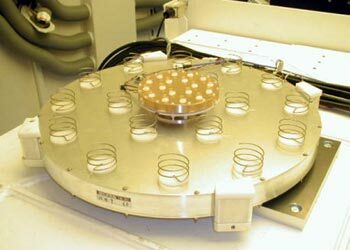 During the observation, the dewer is vacuumed and cooled down to 20 K to reduce the thermal noise. Instead of conical horn, low-profile helical arrays are used as feeds for S (2 GHz) and X (8 GHz) band. Apertures are synthesized with arrays of helices on the plates, providing similar performances as horns with the same apertures. S/X feeds are mainly used for geodetic observation to measure the precise station position. Standard frequency signals are generated in Local Oscillator and mixed with the radio-frequency (RF) signals from astronomical objects to down-convert the RF to an intermediate frequency (IF), which is much easier to handle. 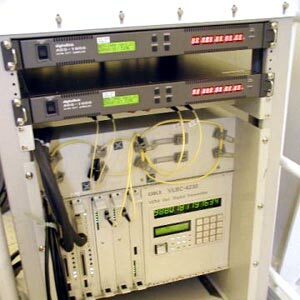 The sampler digitizes the radio signals at the data rate of 2 Gbps (Giga-bit per second) for each beam. Digitized data are sent to the control building through optical-fibers.